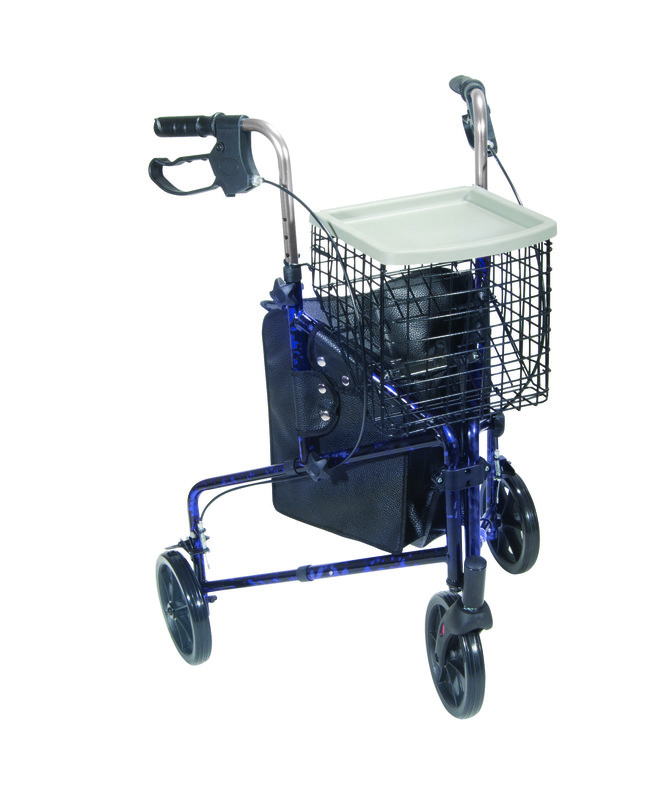 This 3 wheel rollator has a lightweight aluminum frame and comes standard with basket tray and pouch. Easy one hand folding makes for simple storage. Easy to adjust handle height with self-threading knob. Lightweight solid 8" wheels for indoor and outdoor use. Comes standard with special loop locks made of internal aluminum casting to ensure safety.